Тестери за налягане в гимите Съдържа 6 продукта. The optimal tyre pressure is necessary for safe traffic. The correct level (factory default) in tires optimizes their lifetime, and using them with the correct pressure reduces the consumption of the vehicle. It’s worth to always check tire pressure. 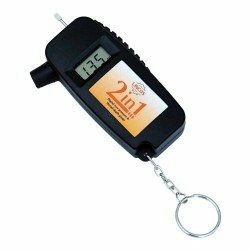 For this we offer many different meters, with different pressure ranges in digital and analog design. 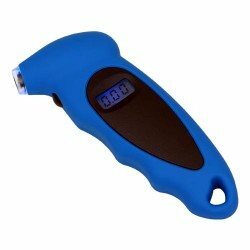 We have types with depth tester, so you can check your tire wear too! 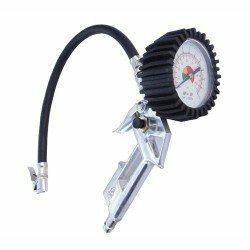 Tyre inflating gun with quick coupler, excellent quality with German Wika gauge. 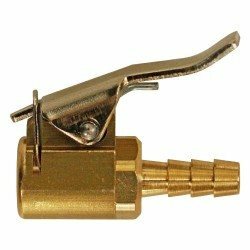 air connection 1/4", measuring range 0-10bar, hose with copper coupler. 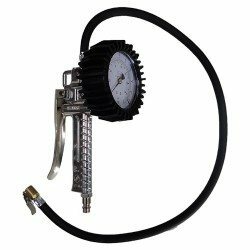 Tyre inflating gun with quick coupler, metal. 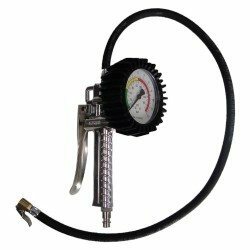 Air connection 1/4", measuring range 0-12bar (0-174Psi). Дигитален манометър и грайферомер, налягане 0-8 бара, измерване на дълбочина 0-15.8мм. Kerékfújató csatlakozó, tömlőhöz. Anyaga sárgaréz, rugós rögzítőcsappal.